- Draper, V singled down the lf line (0-0). - Yan, Z grounded out to 1b unassisted, SAC, bunt (0-0); Draper, V advanced to second. - Xiaoqing, W flied out to lf (0-0); Draper, V no advance. - Kailin, X grounded out to p (1-0 B). - Miller, C struck out swinging (2-2 FKBBFFS). - Huaining, Y struck out swinging (1-2 FBKS). - Robinson, S struck out swinging (2-2 KBSBS). - Mengmeng, L singled to right center (0-0). - Minghan, Y reached on a fielder's choice, bunt; Mengmeng, L out at second 1b to ss. - Minghan, Y advanced to second on a wild pitch. - Huiqi, Y grounded out to ss (1-1 KB); Minghan, Y advanced to third. - Jiaxin, X singled to shortstop, RBI; Minghan, Y scored. - Bei, W grounded out to 3b (2-0 BB). - Rhodes, J doubled to right center (1-2 BFK). - Jing, Z grounded out to 1b unassisted (2-2 SFBBF); Rhodes, J advanced to third. - Peterson, A walked (3-1 BKBBB); Rhodes, J no advance. - Xun, S out on batter's interference (0-0); Peterson, A no advance; Rhodes, J no advance. - Peterson, A stole second; Rhodes, J no advance. - Na, L grounded out to 3b (3-2 BBBKS). - Draper, V singled to left field. - Yan, Z popped up to 1b, bunt, assist by 2b (0-0); Draper, V out on the play. - Xiaoqing, W out at first 1b to 2b (0-0). - ZiXuan, D grounded out to 2b (2-2 SBBF). - Miller, C flied out to cf (3-1 SBBB). - Huaining, Y flied out to cf (1-0 B). - Kailin, X singled to left field (2-1 BFB). - Mengmeng, L singled up the middle (0-0); Kailin, X advanced to second. 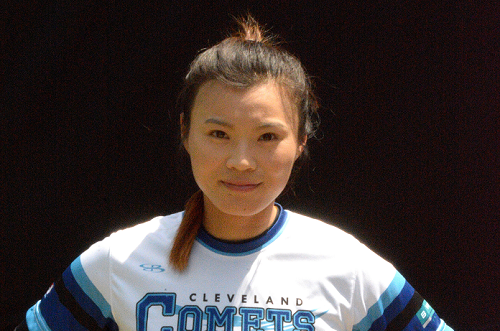 - Minghan, Y reached on a fielder's choice, bunt; Mengmeng, L advanced to second; Kailin, X out at second 1b to ss. - Huiqi, Y hit by pitch (0-2 SK); Minghan, Y advanced to second; Mengmeng, L advanced to third. - Aucoin, G to p for Rupp, R.
- Jie, X pinch hit for Jiaxin, X. - Jie, X popped up to 1b (2-1 BBK); Huiqi, Y no advance; Minghan, Y no advance; Mengmeng, L no advance. - Bei, W flied out to rf (1-2 KBF). - Jie, X to rf. - Robinson, S reached on a fielding error by 2b (2-1 BBK). - Rhodes, J flied out to lf (1-0 B); Robinson, S no advance. - Jing, Z singled to left field (0-0); Robinson, S advanced to second. - Peterson, A popped up to 2b (3-2 FBBFB); Jing, Z no advance; Robinson, S no advance. - Xun, S struck out swinging (1-2 FFBS). - Draper, V grounded out to 3b (0-0). - Yan, Z hit by pitch (1-2 KSB). - Xiaoqing, W struck out swinging (2-2 KBBFFFS); Yan, Z no advance. - Kailin, X fouled out to 3b (0-0). - Na, L singled to second base (1-1 BS). 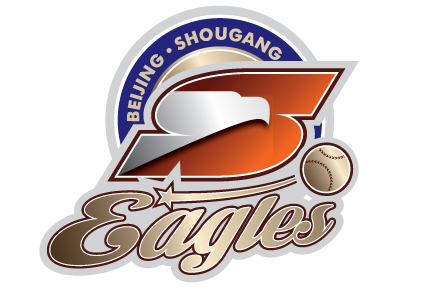 - Yue, X pinch ran for Na, L.
- Siyu, Y singled to first base, bunt (1-0 B); Yue, X advanced to second, advanced to third on a throwing error by 1b. - Miller, C popped up to 1b (1-0 B); Siyu, Y no advance; Yue, X no advance. - Siyu, Y stole second; Yue, X no advance. - Huaining, Y struck out swinging (1-2 FBSS); Siyu, Y no advance; Yue, X no advance. - Robinson, S hit by pitch (2-1 BBF); Siyu, Y no advance; Yue, X no advance. - Na, L to lf for Yue, X. - Na, L to ss. - Siyu, Y to lf. - Mengmeng, L flied out to lf (3-2 BKSBBF). - Minghan, Y lined out to 2b (3-2 BKFFBB). - Huiqi, Y singled down the lf line (0-1 K). - Jie, X struck out swinging (1-2 KFBS). - Jing, Z struck out swinging (2-2 KKBBS). - Peterson, A singled to shortstop (3-2 KBBFB). - Xun, S lined out to lf (1-0 B); Peterson, A no advance. - Na, L struck out swinging (1-2 FSBS). - Bei, W flied out to cf (0-0). - Draper, V grounded out to ss (0-1 F). - Yan, Z singled to left field (1-1 FB). - Xiaoqing, W flied out to lf (1-2 FSBFF). - Siyu, Y struck out swinging (0-2 FSS). - Miller, C walked (3-2 BFSBBFB). - Huaining, Y struck out looking (1-2 FFBK); Miller, C no advance. 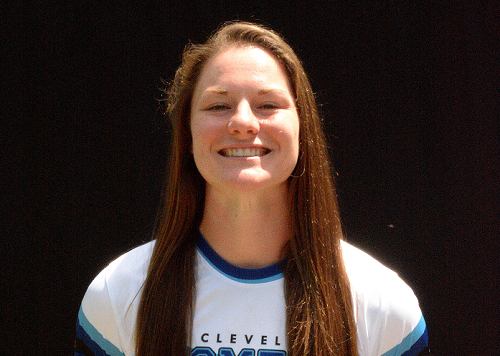 - Robinson, S reached on a fielder's choice (1-0 B); Miller, C out at second ss unassisted.